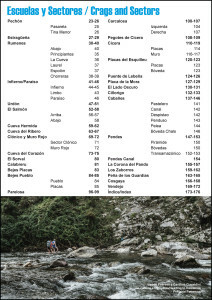 The crags in this guidebook are mainly situated in Cantabria (Rumenes/Estraguena/Infierno are in Asturias) yet represent only a small part of that region’s climbing. 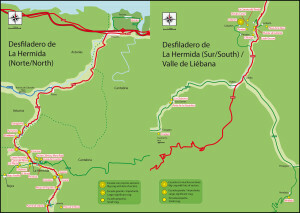 Instead we have used the natural geography of the area, starting at the coast, to select those which are situated in and around the incredible ‘Desfiladero de La Hermida’ (the La Hermida gorge). 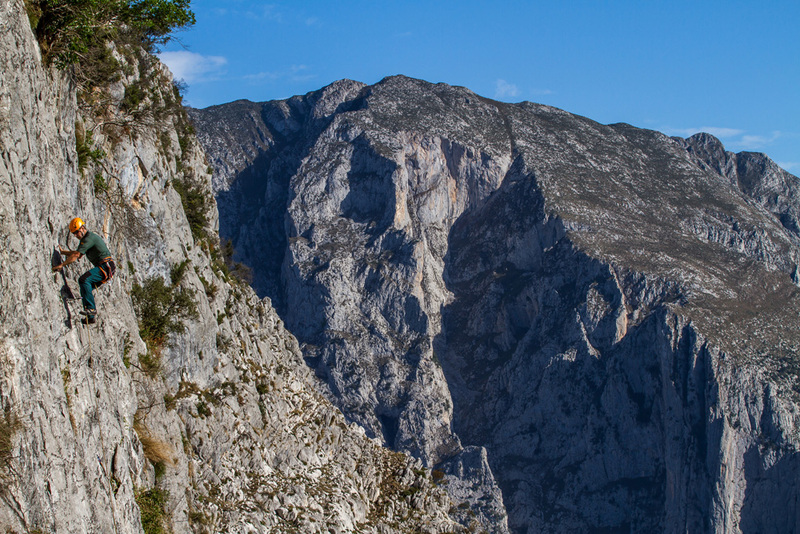 This valley flanks the eastern massif of the Picos de Europa bordering Asturias and Cantabria. Running north to south between the towns of Panes and Potes, it is blessed with an inordinate amount of rock, (mostly undeveloped) and is compact and simple to navigate. The crags we have chosen are generally easy to access and all within about 45mins of each other. A big plus here is that switching venues during the day, to swap styles, grades or to chase sun or shade, is a viable and popular option. 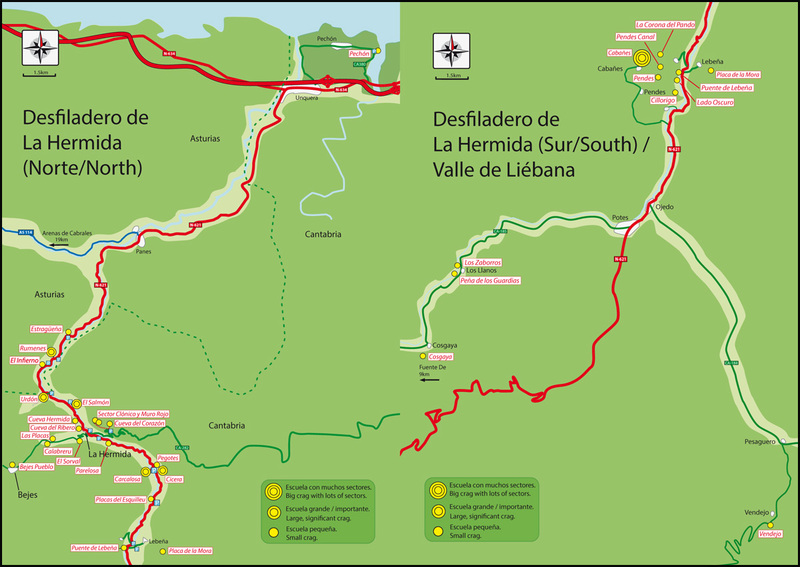 The only real downside to this compact and impressive terrain is that the valley is one of the biggest tourist attractions in the Picos and in the height of summer the traffic is heavy and parking can be difficult. In spite of this, it is a great place to climb and has some really good crags; perhaps the highlights being Cicera, Carcalosa and Rumenes. Travelling down the valley it soon becomes obvious that this is a must-visit area for the devotee of tufa climbing and one friend of mine, after climbing at Carcalosa, Rumenes and El Infierno christened it ‘tufaland’; yet the truth is that this is a valley of contrasts. 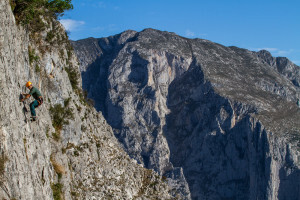 So, alongside the cliffs dripping with tufas there is a wealth of hard wall-climbing, exemplified by the routes encountered at the superb crag of Cicera a brilliant venue published here for the first time. 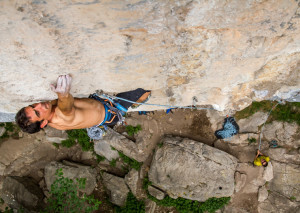 Then there are the slabs, and for those who have learned the art of precision climbing there are some brilliant, technical venues with perfect, grey rock. Importantly, we also feature plenty of spots that feature lower grade routes for the less fanatic climber (many published here for the first time) meaning that for mixed-ability groups the valley is wide open with possibilities. 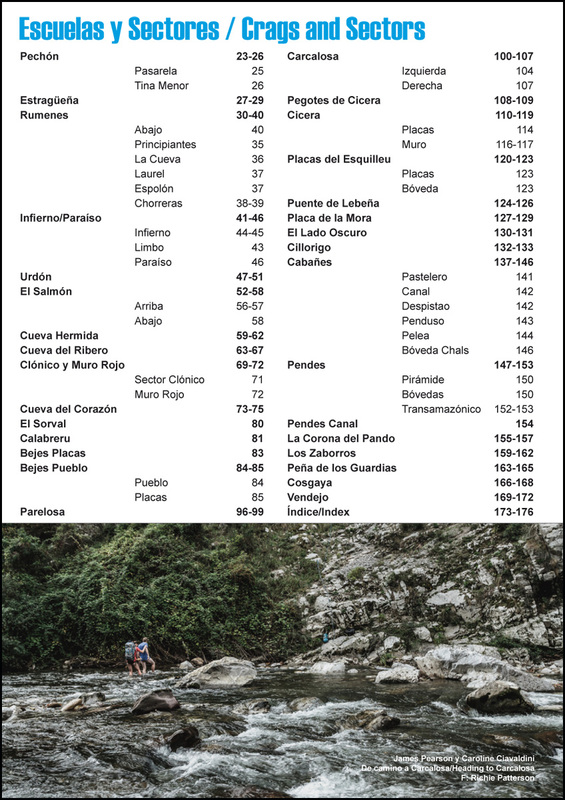 Finally, fresh, open, perspectives and spectacular views of the Picos can be had by ‘escaping’ to the Collada de Cabañes or into the Valle de Bejes; subsiduary valleys that give a different experience.